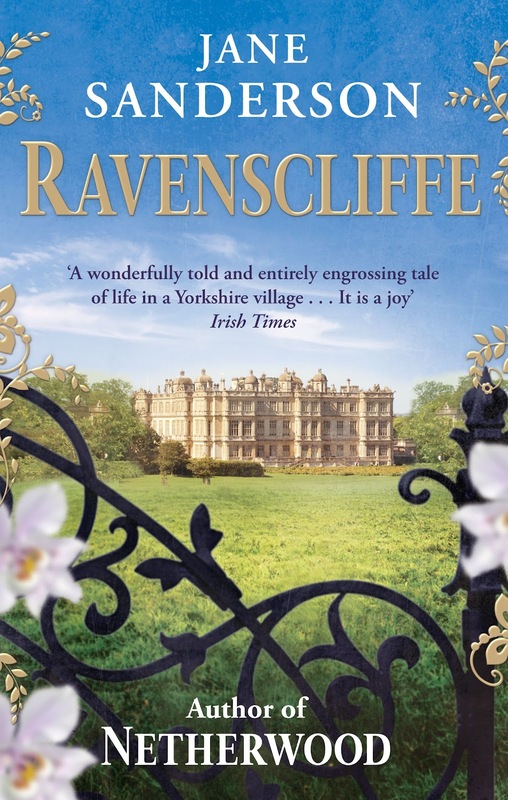 Set in a Yorkshire town during the early 1900s, Ravenscliffe tells the story of the residents of Netherwood, from the working class to the residents of Netherwood Hall. You can see my review here and Author Jane Sanderson has kindly agreed to answer a few questions. I can’t honestly say there was one eureka moment, because since becoming a journalist after I left university, writing had been an integral part of my life. 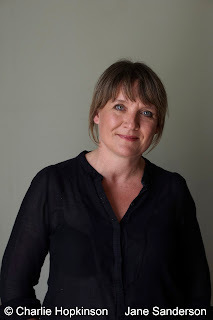 But it’s true to say that in the past few years, I’d increasingly felt that I ought to have a go at writing a novel – its one of those things that I would certainly have regretted, if I hadn’t had a crack at it. I wrote a first novel, which I called Walking the Dog (one friend said it sounded like a dog behaviour manual!) and which was set in the present day, in a rural Herefordshire village. It never found a publisher, but it did find an agent – Andrew Gordon - which is almost as difficult to achieve these days, such is the competition out there. While Andrew was touting it around the different publishers, he advised me to make a start on a second book, so I started to write a completely different novel, set in the past, drawing on what I knew about my late Grandma’s life in the Yorkshire mining town I grew up in. I called it Netherwood, and miraculously, it seemed to be just what editors were after: the first series of Downton Abbey had got them all thinking that Edwardian drama is where it’s at! There was a modest bidding war, and Little,Brown won. All very, very exciting at the time. What was your inspiration for Ravenscliffe (and Netherwood before it)? My inspiration for Ravenscliffe was Netherwood, in many ways – it follows on directly from the end of the story, with Netherwood Hall preparing for the visit of King Edward VII. I wrote Netherwood because I started to think about my Grandma, who was widowed in 1942, and had to raise three children without the help of pensions or benefits. She was a fantastic cook, and it struck me that she could have sold her pies and puddings, although I know for a fact that she wouldn’t have countenanced such an idea. It was a great fantasy though, so I invented Eve Williams to fulfill the dream. I acquired some amazing local history books, and I read Black Diamonds (by Catherine Bailey) which taught me all about Earl Fitzwilliam, of Wentworth Woodhouse, who owned the collieries in my area. I read up on Keir Hardie, and the beginnings of the Labour Party, and all these different stands and influences just started to come together into a satisfying whole. It’s a fascinating period in our history; I’ve so enjoyed the journey. If you were transported to Netherwood during the early 1900s, would you rather work upstairs or downstairs at Netherwood Hall? If I couldn’t be Lady Henrietta Hoyland and live the high life as an Earl’s daughter, I would definitely rather work downstairs than upstairs. All that fetching and carrying of chamber pots and coal scuttles wouldn’t be for me, but I could really see myself in one of those magnificent kitchens, making lovely dishes involving aspic and plovers eggs and breast of snipe. Again, if you were transported to Netherwood during the early 1900s, what would you miss about modern life? And what would you enjoy most about your 'new' life? I’d miss my independence, my iPhone, my mascara, my washing machine, my Mini convertible (but only on sunny days) and proper, minty toothpaste. Hard to say what I’d enjoy most about my new life as a cook in a big house…… I’ve always coveted a set of copper saucepans, and they seemed to have plenty of those in the best kitchens! And, although I’ve already said I’d miss my phone, it would actually be quite blissful not to be always in contact with the outside world. Truly, though, I think I’d miss more than I enjoyed, if I was sent back in time to 1904. Keep reading voraciously, for the inspiration and confidence that other writers can provide, but start writing too – don’t prevaricate, and don’t feel you have to have your beginning, middle and end all completely sorted. It’ll evolve as it goes, and ideas will come to you as you write. You can always go back and improve what you’ve written, but you can’t edit a blank page. Get cracking! What has been your greatest experience of being a published author? My favourite moment was in early December last year, when I was Christmas shopping in Bath with a friend, and we saw a whole pile of Netherwoods for sale in Waterstones. I signed them all at the till, and people started buying them right there and then – it was so exciting. Also, the day my own consignment of books arrived from the publisher was pretty special – the first time I had a book in my hand with my own name on the spine. Finally, what are you working on at the moment? (Please let it be a third installment of Netherwood). You’re very sweet! And I’m happy to say that yes, I’m now writing the third book in the series. The working title is Eden Falls, and it starts in 1909, so all the characters are a little older, but not necessarily a little wiser. I can say no more…all will be revealed in due course! Thank you to Jane Sanderson for taking the time to answer my questions. I'd miss my iphone too. And the internet. I don't know I coped pre-Google! Lovely to read about Jane. And yes, I agree- I would miss all my creature comforts if transported back. Me too. I don't think I'd last a week without my washing machine. Imagine washing everything by hand. No thank you! I'm looking forward to Eden Falls too.